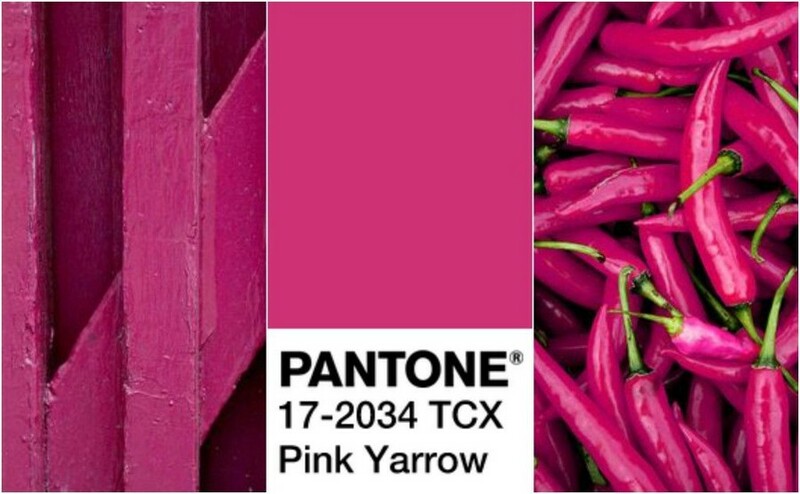 We have already discussed three top-colors of the year 2017 announced by Pantone – Kale, Pale Dogwood and Greenery. Now let’s move on to the brightest hue of the TOP-10 – Pink Yarrow. 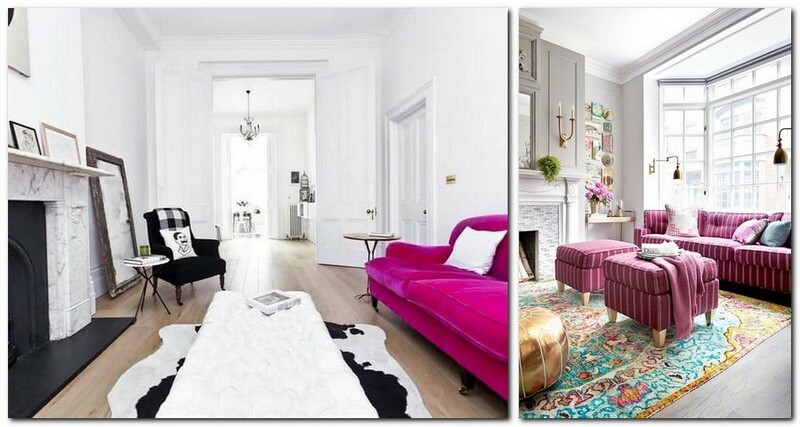 What role should it play in interior design and how to use it tastefully? Let’s find this out together! 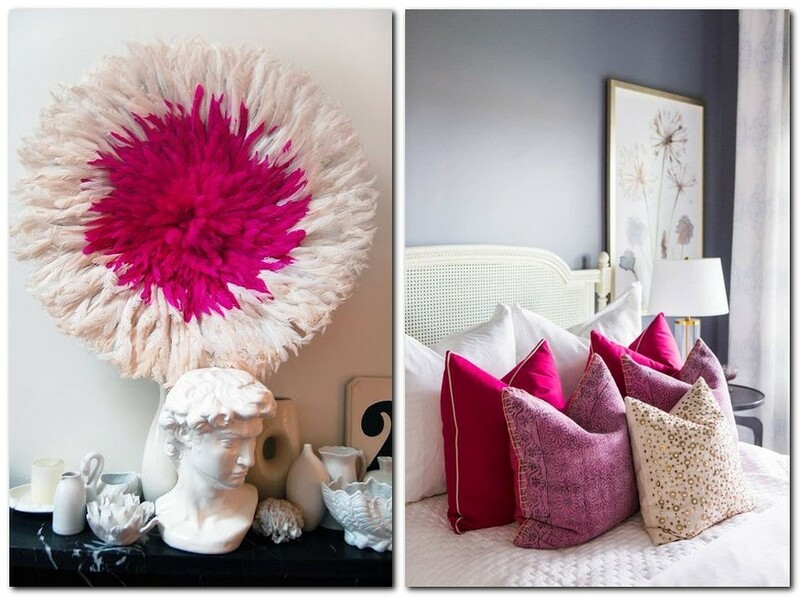 Pink Yarrow is appropriate for minimalism and classical style, but the best option is to add it to eclectic interiors. 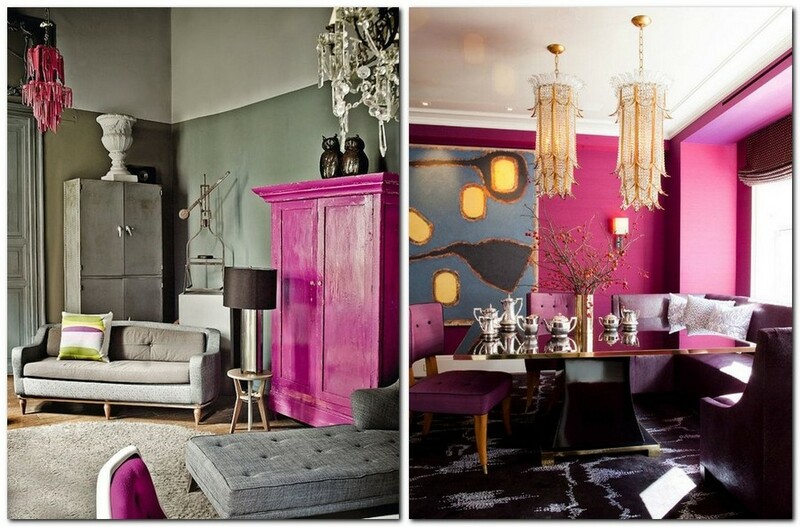 Thereby it’s worth knowing that even just one item of this color is able to give a completely new look to the interior. Perhaps, the most organic and balanced pair can be created by Pink Yarrow and Greenery color. They are both in the TOP-10 Colors of the Year 2017. Maybe, that’s because this couple was created by the nature. Also, Pink Yarrow ideally blends with golden and chromed steel details. The best area of application for this super-active color is the so-called public areas of the house – kitchens, dining rooms, lounges and work rooms. 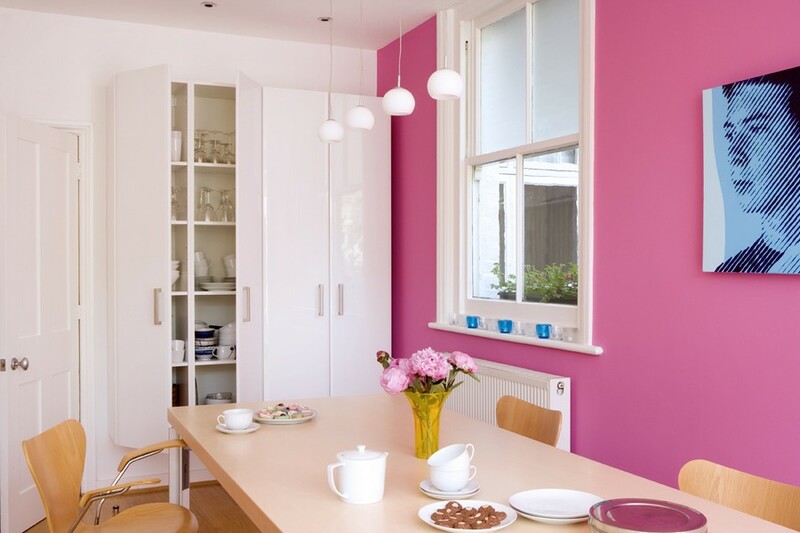 Just one Pink Yarrow wall would be enough to create an original and energetic interior. But if you dared to use this shade, you should note that you’ll be pretty limited in choosing furnishing. It must be as neutral-colored and plain-shaped as possible. 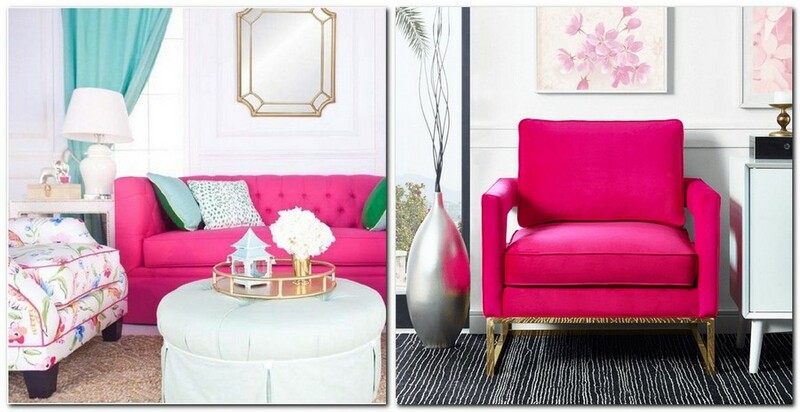 The other option is having neutral, beige or white, background and accenting it with a Pink Yarrow piece of furniture. 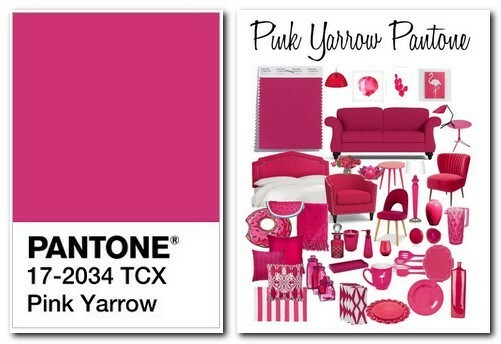 In adults’ and kids’ bedrooms Pink Yarrow must be present exclusively in accents. Its total volume mustn’t exceed 10-15% of entire décor. Bedroom is the place for rest and relaxation, and there’s no use to burden it with such a saturated and vigorous color in large quantities. A few pink details would be enough. They can be represented in home textile, furniture upholstery or items of décor. The best solution for kitchen interiors is gray or white walls diluted with Pink Yarrow elements: top cabinets or backsplash zone. 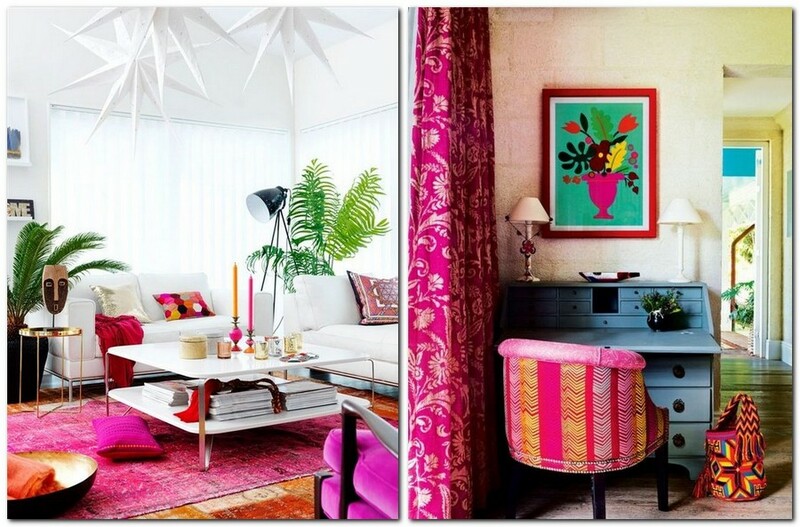 As for the materials, bright pink can be freely coupled with light wood and gray stone.